A charming Charlottesville apartment in historic Fifeville. I've made a list of 16 things for 2016. Some of them are big, some of them not so big, but all of them are entirely attainable. Essie and I went home to Chicago for Christmas and it was wonderful. 2015 brought big changes including a new job and a new city. I’ve been really touched by the positive response I’ve had to a misquotation in the Winnetka Current. Please take a moment to read my actual views on marriage and travel. 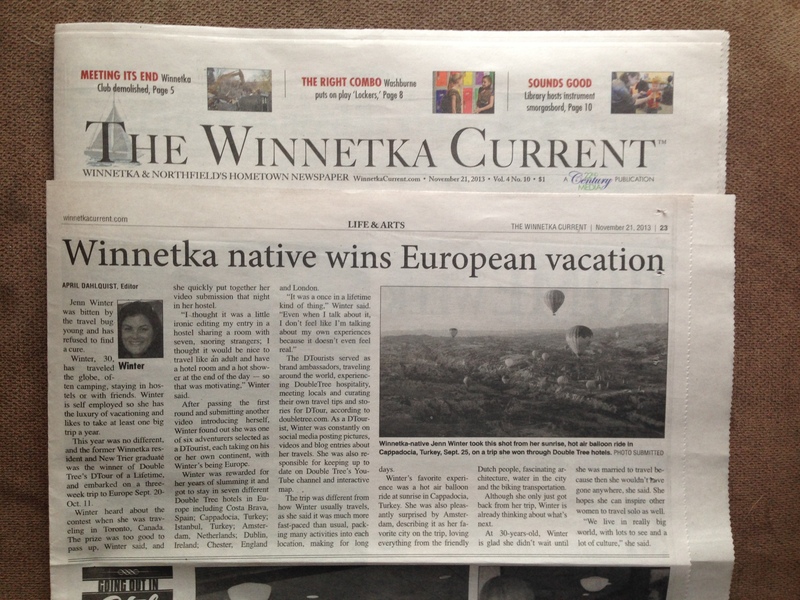 On November 21 an article about my DTour experience was published in The Winnetka Current, my local hometown paper. I was interviewed for the article and provided photographs about two weeks before it ran. For the most part, this was an informative piece about my experience with DoubleTree, my trip through Europe and highlights from the adventure. I have had several people contact me in regards to the write up and wanted to clarify a glaring misquote. At 30-years-old, Winter is glad she didn’t wait until she was married to travel because then she wouldn’t have gone anywhere, she said.